The tradition of music in our country is as old as the civilization of this country itself. It is often said that the lord created the entire universe and kept it moving with the effect of Maya. When ever the lord played his flute the Maya got going. 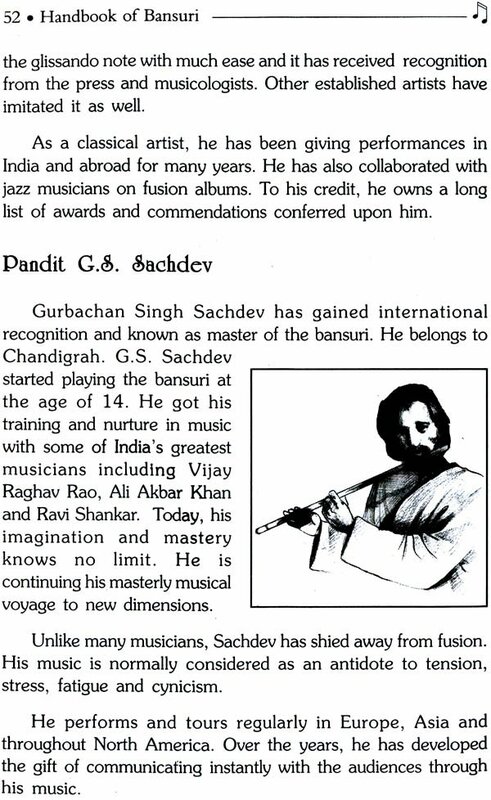 The name of Bansuri is attached to the creator of this universe self. It is so old and so lucky that the lord found it worth keeping it over his lips. Even if one does not agree with the divinity of the Bansuri one would hardly disagree about it’s soothing and satiating effect which takes the listeners on the sojourn of the unseen. With this in mind we would like to introduce to the readers with one of the most important instruments of Indian Musical Tradition the Bansuri. 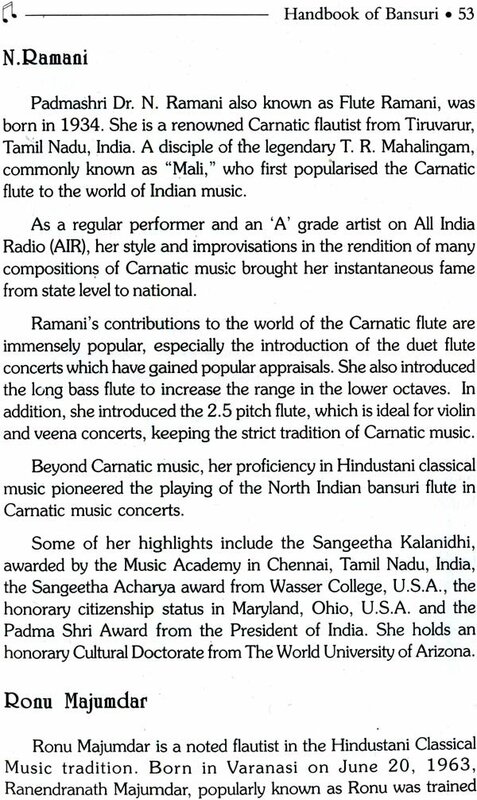 This book gives a sound idea of the history development and basics of the instrument to begin with and facilitates the reader in motivating his interest to know more about this wonderful instrument for further learning. This book takes care of the inquisitiveness of beginners and points out the salient probable problem areas of this field in a friendly manner. Any suggestion for improvement of this book is welcome. weight of book 154 gms.